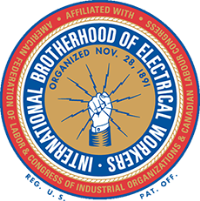 A recent article posted by the International Brotherhood of Electrical Workers (IBEW) highlighted the facts about how union-friendly the presumptive GOP Presidential nominee Donald Trump really is. The article looks into Trump’s past dealings with union contractors and IBEW leadership. Trump developed, owns or licenses his name to more than 45 buildings in the U.S. and Canada in the jurisdictions of 17 IBEW local unions. Trump has publically stated that he is “100 percent right-to-work”—favoring the anti-union legislation which lets freeloaders opt out of paying union dues while still receiving benefits of union membership. The IBEW article discusses Trump’s use of union labor only when he is forced to, highlights numerous lawsuits accusing the presumptive GOP Presidential nominee of not paying bills, multiple violations of the Fair Labor Standards Act and four corporate bankruptcies. Read Does Trump Build Union?